Finally! I have a moment to myself, my lovely laptop and am now able to post something. For those of you who blog, do you find your anxiety levels rising when you haven't posted in a while? Addiction Blush in Rose Bar 14. Tokyo Jazz Highlighter (layers over the blush and lightly dusted all over the face). Dior Diorsnow UV Shield BB Eye Creme SPF 20-PA++ in 020. The stormy, muted grey-plum eye shadow (all over the lid, blended into the crease, and along the lower lashline). 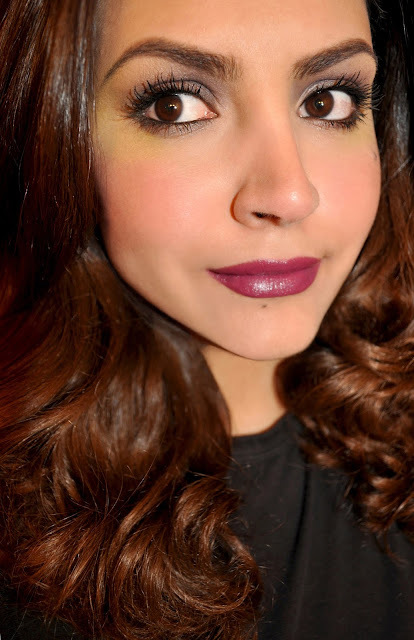 The muted lemony-mustard-chartreuse eye shadow (on the outer corner and blended outward). The silvery-winter white glitter shadow (patted on the center of the lid and brow bone). 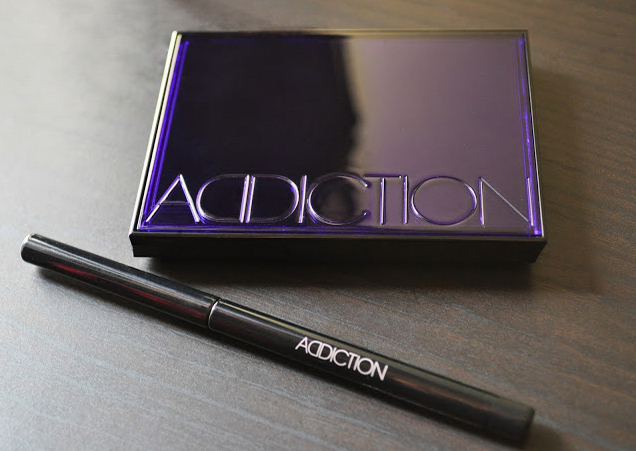 Addiction Eyeliner Pencil in 01 Blackjack (used to tightline and on the waterline). Mac Lip Pencil in Heroine. Addiction Pure Lipstick in Tokyo Mon Amour 008. 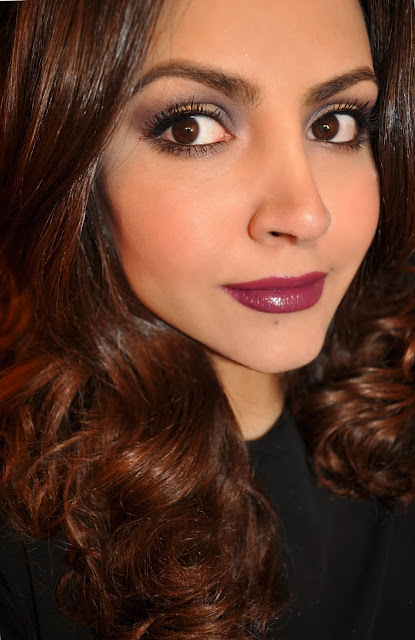 The stormy, muted grey-plum eye shadow (place on one-third of the inner and outer corner, blended into the crease, and along the lower lashline). The muted lemony-mustard-chartreuse eye shadow (patted on the center lid). The silvery-winter white glitter shadow (in the inner corner and brow bone). Hahaha, yes I do actually get a bit of anxiety when bloggers I love reading tend to go MIA for a bit! Over the last year I actually lost a couple gals and haven't had anything from them in months to a year plus and they were awesome bloggers! I love this make up look and you seriously have the best lashes! It looks like you've got falsies on asides from mascara! Also your placement of shadows always get me, love how you do your looks! Gorgeous! Wow!!! You look stunning! I super love that lippie. So made me so curious about it because I wonder if it will look so pretty just the way it look on you. Tokyo Mon Amour has won my heart over, and is now one of my favorite purple lipsticks. The formula is also amazing! Love this look! Tokyo Jazz plays surprisingly neutral and soft on you yet it looks quite unique. Thank you darling. I guess my warm tones cancelled out the cooler tone of the shadows. This palette has really inspired many looks, love it!